Here is my Prezi that analyzes how each step of 21Things is related to Marzano's Nine Instructional Strategies. Make sure to checkout the Googledoc on the last slide. Let's start with, yes, I know that Iphones are not a new technology. However, our ability to harness and utilize the built in features, as well as up and coming apps, IS an emerging field for us as educators. Many teachers are working to build in technology and cell phones usage into the classroom, while other districts are struggling with bans that are still imposed on cell phone technology. I spent some time reading Wes Fryers' Blog "Moving at the Speed of Creativity" and finally settled on an older blog post (3/4/2010) that is still a relevant struggle. Fortunately, I am in a district in which we have some autonomy in the classroom and can, in most cases, uses technology as we see most beneficial. Wes Fryers' major point was that we need to embrace smartphones because they aren't going anywhere. He stressed how to use them as asset in your classroom. One fascinating point Wes brought up was related to the school district's budget. If students were responsible for using a cell phone as their "planner" (which most of my students do already) the district could save thousands. Wes estimated that his district spends roughly $7,000 on planners for their 900 students. We have roughly 1,200 students just in one high school alone. Regardless of the type of cell phones, students can put in reminders and notes about homework and assignments. The activity implemented in this blog looked at using smartphones as a resource. Firstly, he looked at how cell phones can be used to aid in organization. From notes, to planners, from voice recordings to calculators, cell phones can be a beneficial tool in the classroom. Finally, he looked at using phones for a "cell phone scavenger hunt" in which students use PollEverywhere to answer a series of questions and navigate through a list of tasks. In relation to the SAMR model, cell phone usage could fall into multiple categories, depending upon how you use the cellphone. In some cases, like using notes or the planner section it would fall into the augmentation category in which cell phones are a more effective tool to complete the task. Other activities, however, like listening or viewing a clip from youtube or accessing the voice to text features would fall into the modification category in which the traditional "going on" in the classroom is being significantly enhanced. Cell phones are such as asset in the classroom. Don't fight the fight; encourage positive usage and see the results! After looking at the five emerging technology tools I am having difficulties applying theses technologies to my own classroom. There are all fascinating tools, however, they all seem quite specialized and predominately related to STEM classes. I think that the Raspberry Pi tool would be be the most accessible to students, especially with the low price of only $35 per unit. The Oculus looks very interesting for the entertainment industry. I believe that 3D printers are the way of the future and will continue to create major breakthroughs in many industries from health to science to engineering. I guess I am not tech savvy, three of the five devices I've never heard of before. I also am not sure of any other new emerging technologies we may see in the next five years. Here is an example of a digital story written by a student as their college essay and we turned it into a digital story book. Students write narrative essays in both ninth and eleventh grade. The eleventh grade essay is to help students prepare for writing their college essay the following year. I'm not sure that digital storytelling is exactly right for eleventh grade, but it could be a good brainstorming exercise. I could however, see ninth grade students completing a digital story in lieu of their narrative essays. Slides could have different functions like one containing an "explode a moment" another could contain a "thoughshot" and they other various skills we teach (based on Barry Lane). Using a digital story in this context would fall into the modification level of the SAMR model. Using a digital story/ storybook would enhance the normal "goings on" in the classroom. Generally speaking, students enjoy writing their personal narrative, and I think that adding digital media will encourage the more reluctant writers. I would give students the option to use any of the three websites provided by 21 things. I played around with all three of the websites. All of them seemed to have some flaws in accessibility, however, Storybird was my favorite. There are some limitations, and I wish there were more options for images and picking out of specific libraries was a little difficult. I really like the idea of digital storytelling and this will definitely be something I use in the future. I create a storyboard for a Romeo and Juliet assignment on read, write, think.org. This seemed really easy to use and very kid friendly. However, after creating the assignment, I realized you can't save it. You can only print it out. I find this very frustrating, especially as we are trying to move toward digital media and using less paper in the classroom. 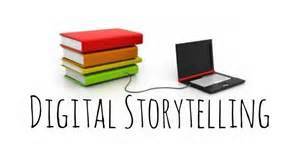 Here, I've included my SoundCloud recording talking about digital storytelling. This was a different experience for me, and the idea of recording creates a little more anxiety for me. I'm not used to the idea or listening to what I'm saying. In class, you can repeat or change how you say things to help students understand. When typing you can easily make changes before you publish. 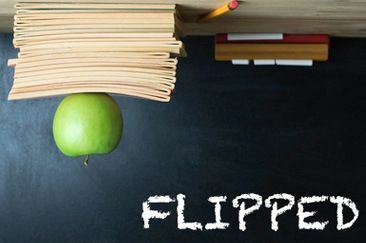 This is one aspect I would find difficult with a flipped or blended classroom. Often you create digital recordings to explain content and students can listen to it again and again if they need. I'm just not used to that. I'm used to being able to respond directly to students to help answer their questions and fit their needs. I haven't used soundcloud before, but it is easy to use and I can imagine (getting used to it) and using it in my classroom. I'm not saying I won't record things three times before I publish it, but, you know, I think I could use it in the future.